Young woman with little boy having fun at the international airport. Mother with her cute little son waiting boarding. "The problem wasn’t with us, it was with you," she wrote. A mother took to Facebook to call out a fellow passenger on a flight who was apparently annoyed by her toddler on the plane. Stephanie Hollifield, a Georgia blogger with Momstrosity, chronicled the man's behavior on a recent flight. "To the Gentleman on Flight 1451," she began. "I first noticed you when you sighed loudly as you laid eyes on me and my toddler boarding the plane." "I wondered if you had a bad day, or if this grouchy temperament was your normal behavior." "I was at the end of my rope, but then, an angel to the rescue- the flight attendant came by and gave my daughter a cup and straw to play with." "Somehow, her [the flight attendant] simple words made me feel better." And anger:" This world certainly has enough negativity without us adding to it, and just maybe the kindness you give out today, will be returned to you in the future." She seemed to sum it up with words of advice to the unnamed man, "The problem wasn’t with us, it was with you. What you need to know, is that while children can be terribly inconvenient now, they will run the world when you are old and grey." The blog then sparked a further range of reactions in the comments. 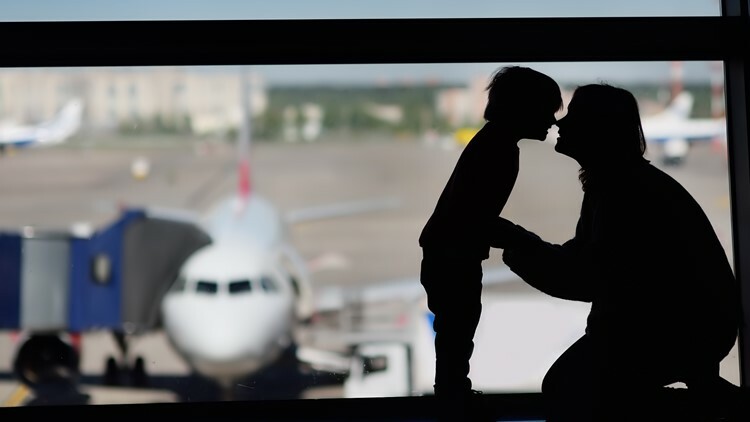 Some, like Heather Holman, felt the blogger was only seeing things one way, "This post seems pretty single sided, as a mother and a person with accute hearing I can relate to both being embarrassed and being annoyed by someone lets their kid cry on a flight. Doing research on flying you should have known a little acknowledgement goes a long way. Bring little ziplocks with ear plugs, a note about your guys first flight and a piece of candy for the people immediately around you is a good peace offering. Also if just a cup and straw entertained your child maybe some little toys from dollar tree, something new she hasn’t seen before. Also swallowing helps with ear pressure so be sure to get her to drink." Others offered words of encouragement. "I am flying today and I’m going to make a point to find a momma traveling with kids and tell her she’s doing a great job! People can be so rude but we can’t let them steal our joy! You’re amazing!" wrote Karen McNally White. Oh I have been there. I have memories flying with all three by myself and we made it through," Molly Wells wrote. Some had clearly never flown Southwest. "Is anyone else confused by the fact that she was able to choose her seat on the flight?" one person wrote. Last year Hollified stirred up social media when she admitted she had no clue about how to style her black daughter's hair.